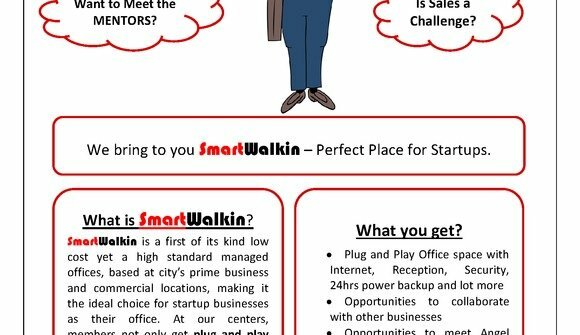 SmartWalkin is a first of its kind low cost yet a high standard Managed offices / Coworking Space, based at Madhapur city’s prime commercial location at Hyderabad, making it the ideal choice for startup businesses as their office. At our centers, members not only get plug and play offices, but also get opportunities to collaborate with Mentors, Investors and other businesses to accelerate their growth. 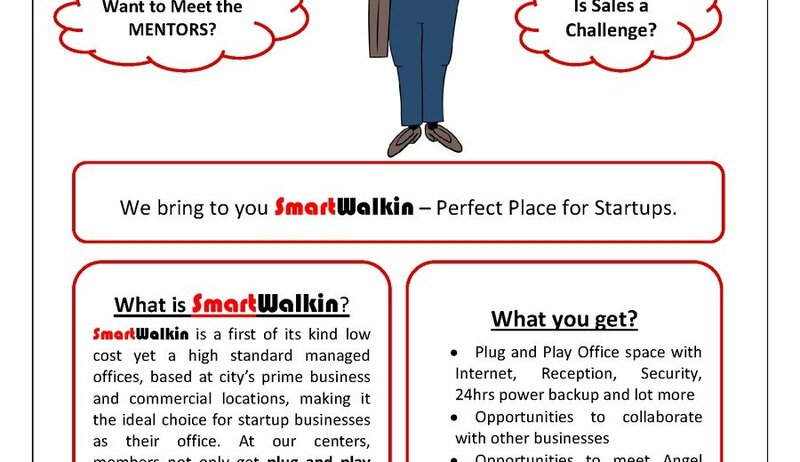 This is why we say SmartWalkin – Perfect Place for Startups.